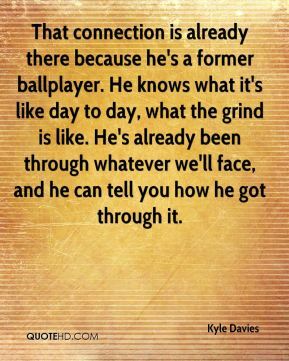 That connection is already there because he's a former ballplayer. He knows what it's like day to day, what the grind is like. He's already been through whatever we'll face, and he can tell you how he got through it. 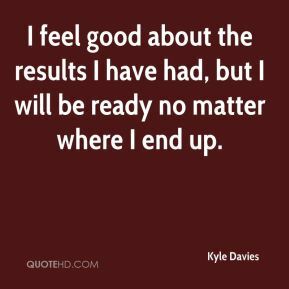 I feel good about the results I have had, but I will be ready no matter where I end up. It helps that we all came up together. It's good to have someone who's going through the same things you're going through. You're closer to that person. You can relate to him. The majority of us are really close friends, and we're getting to go through this dream together.